The contextual approach was developed by Iván Böszörményi-Nagy (a Hungarian-American psychiatrist and psychotherapist 1920-2007) from individual and system based family therapy. The term 'context' is used to indicate the dynamic relationship of a person with his or her meaningful relationships across the generations, to the past and future. 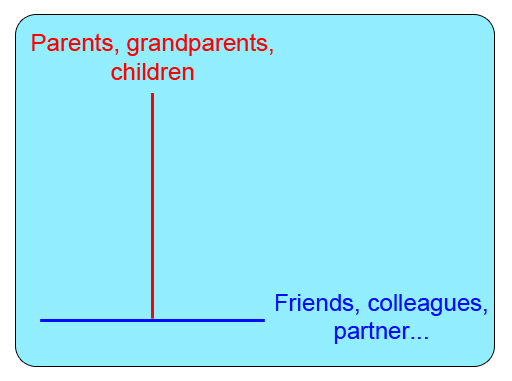 It's about the dynamics between the parents (at home), their children (students) and the people at school. In particular, 'Invisible Loyalties' has been a strong and continuing influence on the understanding and practice of large numbers of therapists.